Kate found yoga through a life-long love of dance and movement. Every one of her classes is unique. The classes develop organically, depending on the students needs, experience level, and overall energy of the group. Yoga powerfully transformed Kate’s life and beliefs. For her, sharing yoga has become one of her greatest joys. Her classes are playful, encouraging, and liberating-her love of dance and music shows in every class. Kate crafts her creative sequencing to help move her students through the practice in a seamless, graceful flow. She is constantly learning-taking Yoga workshops with internationally recognized teachers, and she also learns through her valued students, and her self-practice. 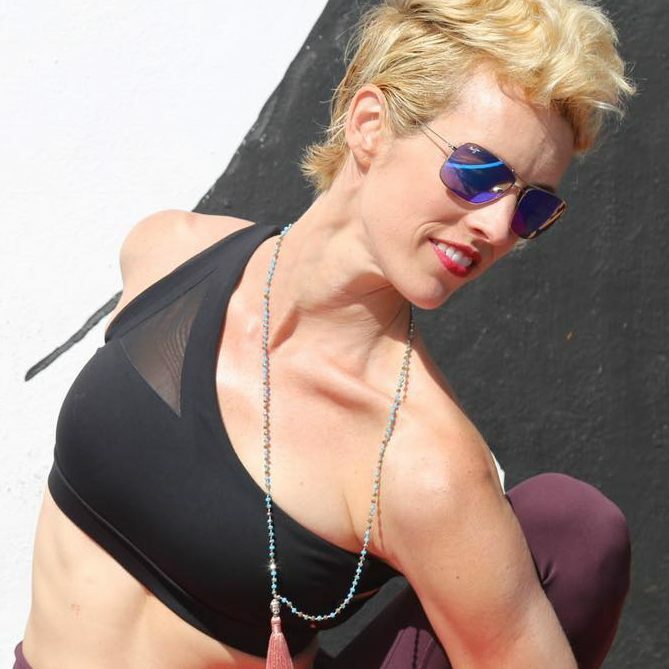 Kate’s teacher training certification from The Yoga Center of Deerfield Beach influenced her attention to proper alignment and truly encouraging each student to honor their own body . Kate is a formidable food lover, also has a degree in finance from the University of Florida and has helped us out with many a spreadsheet(and restaurant recommendation)! Anywhere there is a breeze. Food shared with family and friends. And cheese! Those who openly share their wisdom and love.